Shōchū is Japan's indigenous distilled spirit. 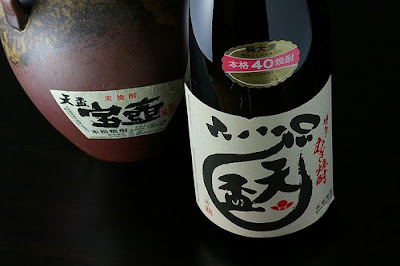 It is quite different from its more widely known sibling sake and has its own tradition in the Southern part of Japan dating back at least to the 1500s. 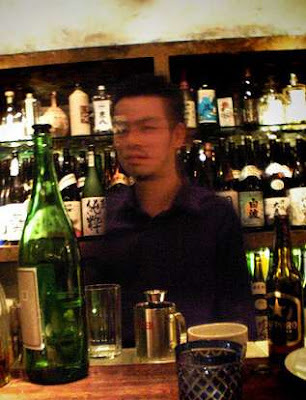 It has had a resurgence in popularity in Japan in recent years, with a huge variety of quality spirits now on the market and smart new shōchū bars lined with all shapes and sizes of the drink very much the cool places to hang out. However, it is still under explored by non-Japanese. In my opinion, this partly because it is often quite difficult to understand the labeling of shōchū bottles. That is the hurdle this four lesson course is aimed at vaulting. This course is aimed at the consumer. I am not going to go into the technical details of production unless it helps people better understand the differences between the bottles in front of them. Neither am I offering a connoisseurs' course here: no insights into taste, history etc. Before you can become a connoisseur you have to be able to buy the drink. We will do the other stuff some other time. Finally, this is not Japanese language course. We are only going to be looking at 10 or 11 words that will help us get vital info off the back of a bottle. I believe that with a cool head and these four lessons anybody can start to navigate their way around the shōchū shelves, even without any understanding of the language. The course ends with a vocab crib sheet to take along with you if you ever get a chance to go shōchū hunting. The photographs come courtesy of Titanium 22 and Typester respectively. Both come with share alike conditions. Great blog! You're writing is very concise and informative. I love the crib notes, brilliant idea.